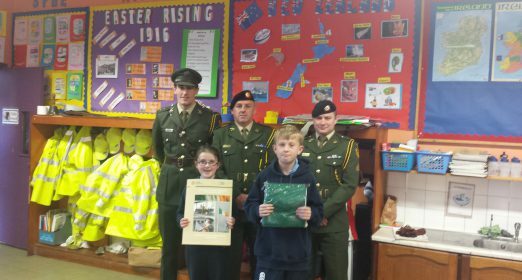 As part of commemorative events organised by the government this year for the centenary celebrations of the 1916 Easter Rising, we had a very special visit from the Defence Forces on Thursday 8th October. 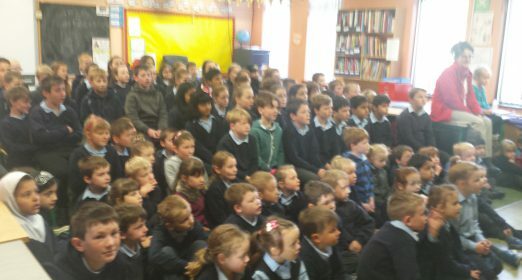 They spoke to the children about the significance of the Irish flag and the 1916 Easter Rising. 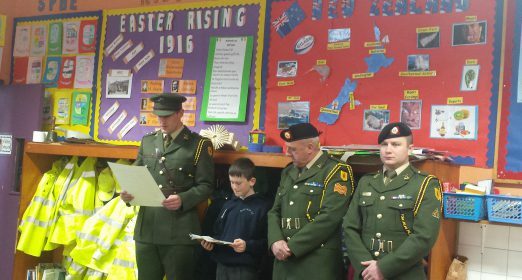 With the help of Gerard Calligy, Lieutenant Holmes read out the same Proclamation that Padraig Pearse read on the steps on the GPO in Dublin on Easter Monday 1916. 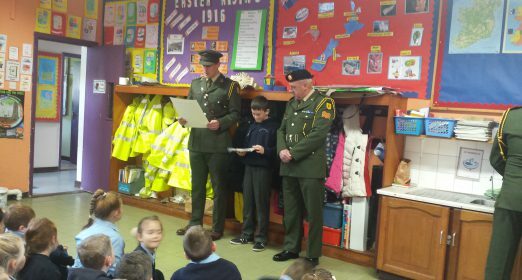 They then presented our school with a copy of the proclamation and a national flag. James Connelly and Aoife Kelly accepted the proclamation and flag on behalf of the whole school community. 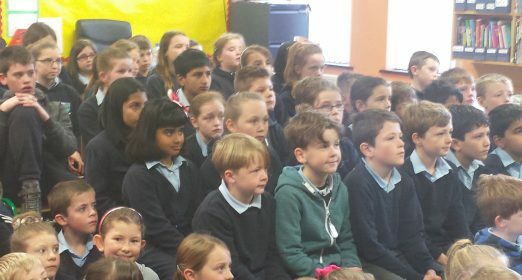 We all then joined together in song and sang our National Anthem.